BC’s fossil sites include an astonishing diversity of past life spanning the entire interval of complex organisms on Earth. Some of the oldest fossils in the RBCM collection are over 550 million years old. 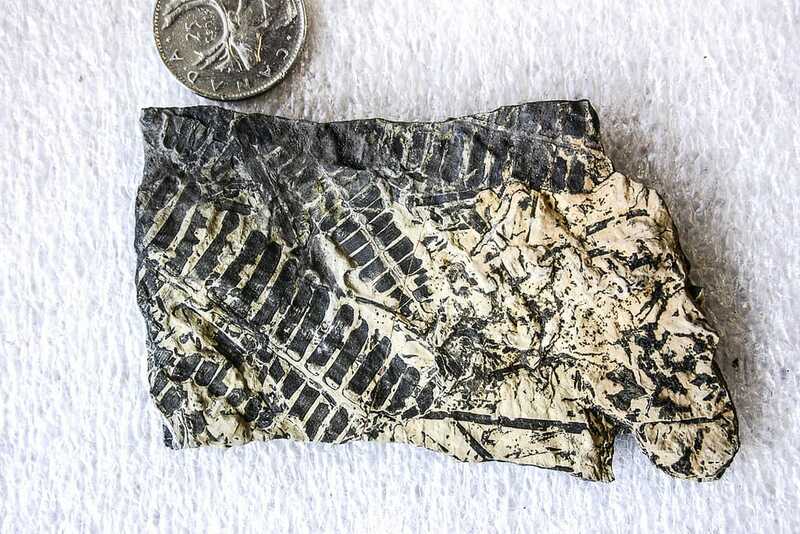 These are the Ediacaran fossils from Mount Robson Provincial Park. Some of the youngest fossils in the collection include clams and other invertebrates from the Victoria area that are only a few thousand years old. Our fossils represent many different ancient environments—the oceans, lakes and land where plants and animals once lived and died. We have examples from the deep ocean, where unusual marine reptiles, fishes, invertebrates and single-celled organisms once lived; coastlines, where diverse communities of shelled creatures thrived in the ancient past; lake bottoms and shorelines, where plants provided shelter and food for a myriad of fish and insects; and forests and wetlands full of plants, where small and large vertebrates once skittered and roamed. BC has one of the most complicated geological settings on Earth. Ancient island terranes rising from the ocean floor collided with the North American continent, where they were squeezed upwards to build the mountains of BC. The past life preserved in these rocks is now visible as fossils, which help us understand the deep history of BC and its geologic past. 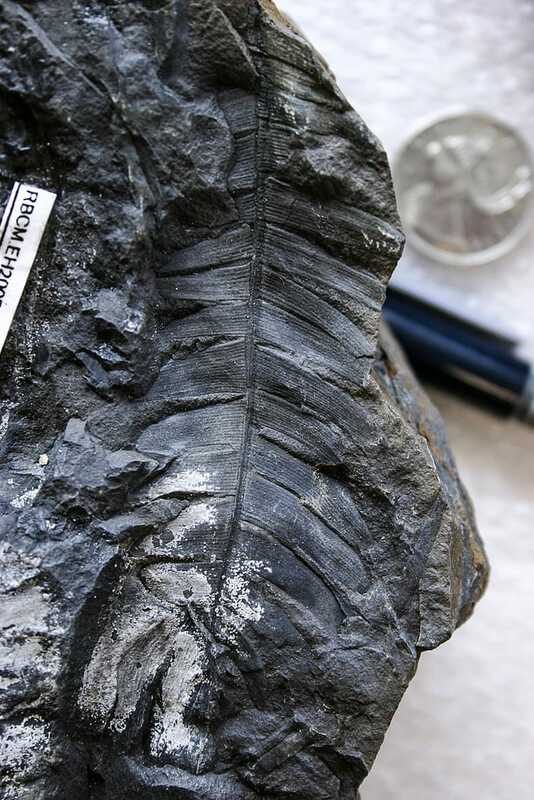 Fossils have played an important role in BC’s economy, helping to locate mineral deposits, oil and gas. 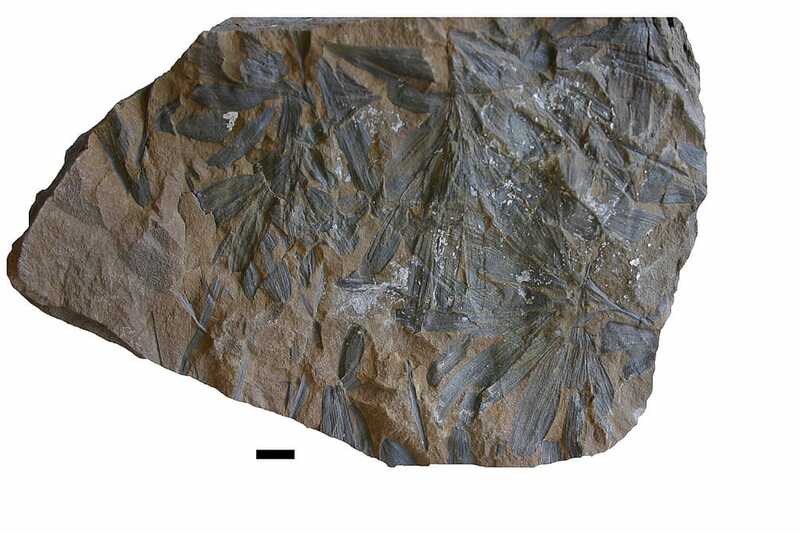 Many fossils contain particular chemicals; change in the character of such compounds can reveal the history of the deposit containing the fossils and give us clues to the location and nature of resource deposits. Fossil layers can also assist us in placing rock layers in relation to each other and figuring out their age. Fossils are primarily found in sedimentary rocks from many basins in the province. Volcanic rocks, such as ash, also may preserve fossils. BC has some of the most important fossil localities in the world such as the Burgess Shale (a UNESCO World Heritage Site containing fossils from the Middle Cambrian period), Mount Robson Provincial Park (containing Ediacaran fauna), Wapiti Lake Provincial Park (fossil fishes and ichthyosaurs), northeastern BC (diverse invertebrates, vertebrates, track ways), Haida Gwaii (diverse mollusks 220–20 million years old), the Nanaimo Group on Vancouver Island and in the Gulf Islands (marine vertebrates and mollusks), the McAbee and other Eocene beds in the BC interior (plants, insects, fishes and other vertebrates) and Cenozoic invertebrates and vertebrates in coastal and southern Vancouver Island. Over 2000 specimens are part of the museum’s early collections from before 1900. Many of these were collected by Dr. Charles Newcombe, a notable BC naturalist and historian. Other early fossil finds were made by some intriguing figures from BC’s past, among them George Mercer Dawson of the Geological Survey of Canada; Lady Amelia Douglas, the wife of Sir James Douglas who was appointed governor of the Colony of British Columbia in 1858; Captain John Devereux, the dockmaster at Esquimalt harbour 1886–1906; and Captain Gardner, a local sea captain of some renown. 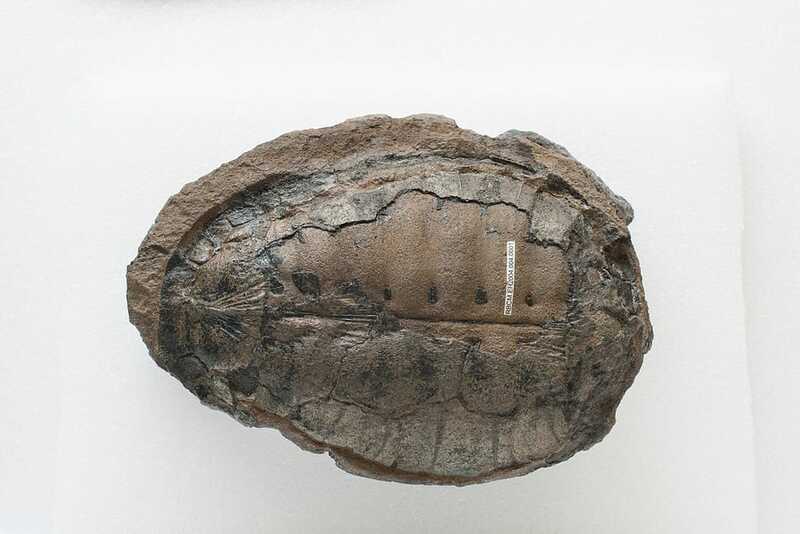 Many of the fossils were identified and mentioned in volumes on Mesozoic Fossils (1876-1903) by Joseph Frederick Whiteaves, who joined the paleontology branch of the Geological Survey of Canada at Montreal in 1875. We still regularly refer to these volumes to initiate identification of fossils from Haida Gwaii, Vancouver Island and the Gulf Islands. These older collections are important to show changes in the original sites as they eroded and revealed different fossils over time. The museum’s paleontology collections have grown from about 2000 specimens in the late 1800s to over 60,000 specimens today. Much growth has occurred over the last ten years, mainly from donations and from research and field collection. Fossils are the museum’s most rapidly growing collection at this time and are frequently the basis for new scientific papers. Today, many of BC’s fossils remain in museums, institutions and private collections outside the province (in Edmonton, Calgary, Drumheller, Ottawa, Toronto, Washington DC and London, England, among other locations). One of our goals is to develop the fossil collections through donations and research to more completely represent the diversity of past life found in BC rocks over its long and complex geological history. In 2008, a donation of over 20,000 specimens was accepted by the Royal BC Museum. A second large collection arrived in late 2010. The majority of these fossils were collected from Vancouver Island and the Gulf Islands (Nanaimo Group rocks) and they are about 70-80 million years old. This second large collection was declared a National Treasure. The anonymous donor had collected the fossils over 35 years. The largest fossil is about 1 metre across and the smallest less than 1 cm. Examples of the marine fossils include ammonites, bivalves, gastropods, crustaceans (crabs and lobsters) and vertebrate bones (e.g. birds, marine reptiles). The fossils represent offshore marine and near-shore life that existed when the dinosaurs lived on land to the east on the North American continent. The climate was warmer than today, and some of the vegetation included palms and cycads. Citizens of British Columbia play an important role in donating fossils to BC museum and institutions. Many new species and rare specimens have been collected by the public. To date, most of the fossil collection has been donated by the public. Careful documentation of find site locations, the fossil's association with other fossils and the type of rock it was found in greatly increase the scientific value of a fossil. Fossil identifications are completed by staff, research associates, visiting researchers and expert volunteers. Important to the collection is research literature and web information. We compile current information and old literature to assist with identifications. Some of the literature is from the nineteenth century, and this needs to be properly conserved but while remaining accessible for future reference. In paleontology, original species descriptions and illustrations are frequently referred to for identifications, and therefore this information needs to be archived. Sometimes the literature has been scanned and can be read on the computer, but this does not match the quality seen in an original publication. To further assist with identifications, we are building keys that organize and prioritize diagnostic characteristics and features of fossils that can be used to differentiate species. The research fossil collection is organized according to geologic age, the name of the rocks (group and formation) containing the fossils, the location where the fossils were found and their biological classification. A separate and small paleontology teaching collection is used for public programs at the museum. Fossils are stored in metal cabinets or on shelving, in plastic fossil trays or Durphy boxes padded with conservation high-quality foam. A catalogue number is applied to each fossil matrix which provides a link to data files about each matrix and specimen. The quality of digital imaging has improved greatly. Today, it is very easy to photograph a fossil and have an instant image result. An image is useful to assist with identifications and building identification catalogues. To describe and image a new fossil species in research literature, higher quality images are needed that may require special preparation of the fossil and techniques to enhance the details of the fossil. Plans for paleontology preparation and image labs are underway. Drawing fossils is still an important part of paleontological science. Artists work with paleontologists to provide evidence-based interpretations on the biology of an organism that once lived. For example, mobility, colour and group behavior may be added to create an image of what life might have been like in the past. Sometimes the interpretation involves several specimens to view parts preserved on one fossil but not another and then create a composite image. Currently, we have a volunteer artist working on specimen illustrations of fossils from the Cambrian Burgess Shale site. Two stunning paintings of ancient landscapes in the Natural History galleries were imagined on the basis of our fossils collections. One shows the reconstruction of the late Cretaceous shoreline of Vancouver Island covered in palms, cycads and subtropical plants such as breadfruit. 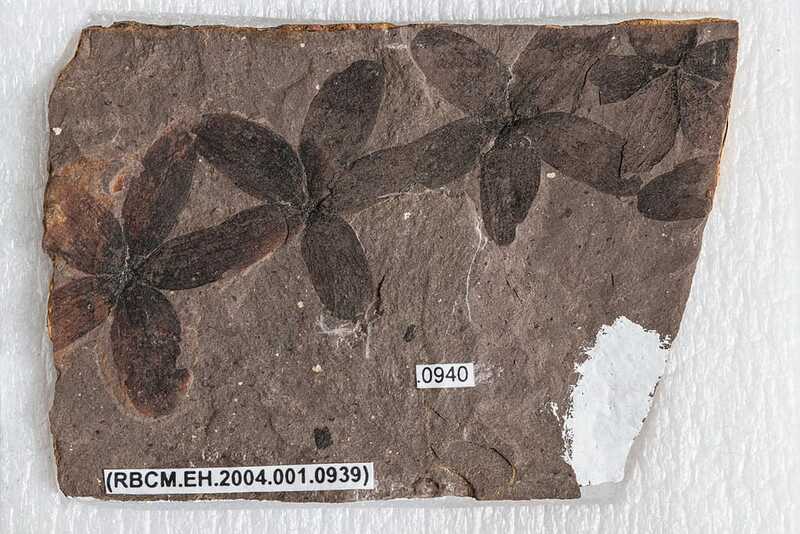 Fossils of these plants are in our collections. Opposite the Woolly Mammoth, the ice age landscape is covered in beautiful wildflowers. We know what grew at this time from the study of tiny fossil pollen grains in our collections. Volunteers are vital to the successes of all aspects of the paleontology program. They are involved in research, field programs, specimen identifications, applying catalogue numbers and mounting specimens, preparing specimens, compilation of data and information, data entries, illustration of fossils, photography and editing, literature compilation and lists, public programs and tours, and education activities. Our collection has wonderful exhibit-quality specimens for displays and use in public programs. Researchers from all over North American visit and study our specimens on a regular basis. We store and conserve our fossils to a high standard either secured and sealed in metal cabinets or stored on closed shelving. Many specimens rest snugly in secure acid-free foam in closed inert plastic boxes. We accept only well documented collections primarily from BC or nearby regions. Key information includes the location of the collection, name of the collector, and the geological setting of the specimen. We keep comprehensive records for all specimens adding greatly to their scientific and educational value. The Royal BC Museum collections contain some very old fossils representing early life during the Proterozoic Ediacaran and the Cambrian periods. Our Burgess Shale collection is small but contains good examples of these experimental early life forms. Interesting trilobites are in the collections from early donations that were collected on Mt. Stephen and others from thesis research completed by Lisa Bohach. Exquisite fossil fishes in our collections from the Early Triassic period (about 240 Ma) from rocks near Wapiti Lake show coelacanths, sharks, and a full array of bony fishes that lived along the shorelines of continental North America (called Pangaea) at the eastern margin of massive ocean called Panthalassa. This was proto-BC, before the island terranes collided and the mountains of BC were formed. There are many new species and specimens that have yet to be discovered and described in the collections. This is especially true for Upper Cretaceous fossils from Nanaimo Group rocks where there are many mollusks and plants that are not well understood and are from changing shallow and deep water biofacies and sequences in the Georgia Basin. The collection is very large and provides many unique opportunities for researchers to study in detail species variability in mollusks (especially ammonites) because of the large number of individual specimens. Rare vertebrates have been found, including birds, a new pterosaur (Gwawinapterus beardi Arbour & Currie 2011), and the first dinosaur bone found in coastal BC. During the Eocene, about 50 million years ago, the climate was warmer and common volcanic activity was linked to the accretion of terranes at the western margin of the continent. A series of lakes and water courses in the BC interior from the Princeton area north to Driftwood Canyon (near Smithers) preserved excellent plants, insects, fishes, birds and other vertebrates. Many examples of these fossils are in the museum's collections. Examples of plants include conifers such as Metasequoia, similar to the redwoods in California; water plants such as Azolla (water fern); Equisetum (horsetail), which is the only living genus of an entire class of ancient Paleozoic plants; Ginkgo, another sole survivor of an extinct class of trees; rare flowers of angiosperms and many other plants such as birch, alder, maple, cedar and pine. Considerable diversity is observed in these fossils undoubtedly representing different micro-climates in mountainous and valley regions. Younger Cenozoic rocks of the Sooke Formation along coastal Vancouver Island (about 25 million years old) contain common mollusks (clams, snails) and rare vertebrates that are well-represented in the Royal BC Museum collections. Some animals are very similar to today’s forms, but others, such as Cornwallius sookensis and Behemotops, have become extinct. The former is a type species with examples in the collections and the other is probably a new species currently being studied. Pleistocene climate change and glaciers have dramatically shaped BC in the last two million years. Mammoths, mastodons, bison and other mammals have been recovered from gravel pits and other sediments on Vancouver Island. Pollen and marine shells provide clues to understanding climate and sea level changes as glacial cycles waxed and waned. The mammoth is an icon at the Museum and there are excellent examples of teeth and tusks in the collections. A globally exceptional collection of wood sections and cores from Heal Lake spanning 9,000 years records year to year climatic variation for northwest North America. Our collections received little attention between the early 1900s and the 1980s. During this time, however, the Geological Survey of Canada, the staff of the provincial geological survey and university researchers collected widely. Many collections were made by experts outside of the province and found homes in institutions in Canada, United States and Europe. 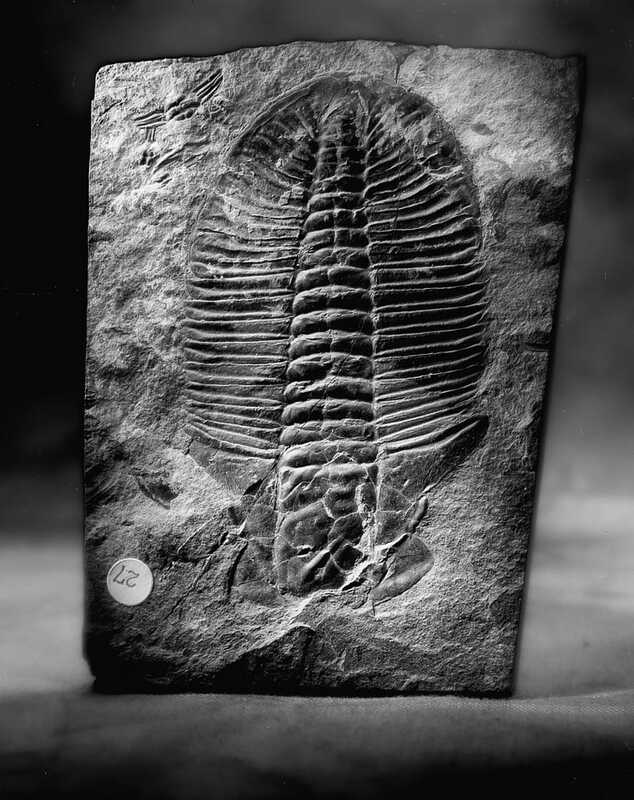 As a result, our collections have limited material from famous sites such as the Burgess Shale. In the 1980s, the museum recognized how important fossil were in British Columbia, and in the mid-1990s, many paleontological societies formed in the province. People got really excited about fossils and excellent collections were made at many sites. Our fossil collections began to grow rapidly and researchers around the world realized their tremendous value. The rapid growth and strong scientific interest has posed challenges: we need more storage space, facilities and equipment for specimen research and preparation. We are moving forward with an interim plan to accommodate this collection growth until new storage and workspaces are available. 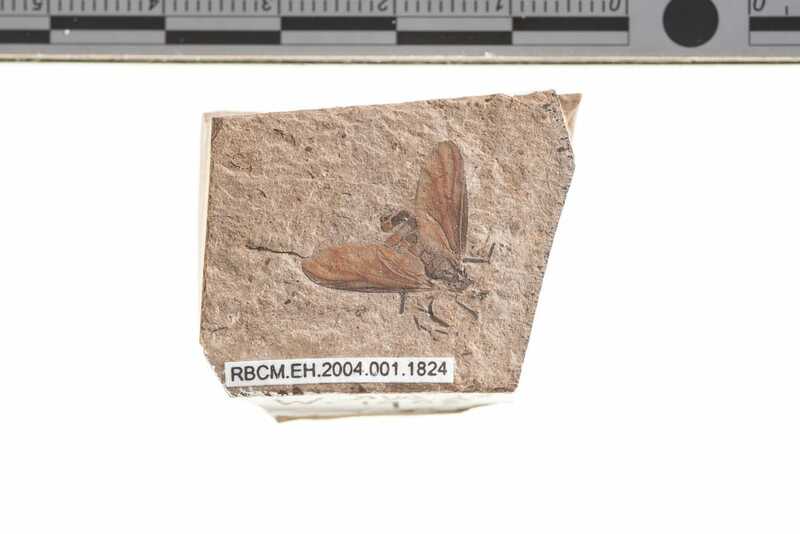 Our fossil collections include many good examples of ancient life forms, but these are mainly small samplings of BC’s rich paleontological heritage. Our geological history is complex and long and is represented by tens of thousands of fossil sites. Many thousands of sites remain to be discovered because our landscape is wild and difficult to get to, so our collections represent only a small fraction of what is out there and what we should have. Fossils are of major interest to the public and continue to have significant market value. The recent development of the BC Fossil Management Framework (FMF) and anticipated announcement of a BC provincial fossil are expected to markedly increase the number of collections and specimens available to the museum. The Royal BC Museum has played a key role in pressing for and shaping the framework. It is an important step that recognizes the heritage value of BC fossils, provides a knowledge base and clarifies rules on governing and managing the use of the fossil resource. The framework will likely generate major collections from diverse regions of the province. Similarly the planned development of the Site C Dam by BC Hydro will undoubtedly generate many specimens from multiple sites in an area well known to be rich in fossils. Museums and institutions in BC will continue to be repositories for BC fossils and collections will expand at an unprecedented pace in up-coming years. The McAbee Fossil Beds Heritage Site represents the early Eocene Epoch and is one of the most important sites of its age in the world because of the exquisite preservation of fossil plants, insects, fishes, and other vertebrates and invertebrates. Its scientific status places it as a portal into learning about ancient life in general and for raising awareness about fossil stewardship. The Ministry of Forests, Lands and Natural Resource Operations (FLNR), the local communities of the Secwepemc Nation, Thompson Rivers University (TRU) and the Royal British Columbia Museum have interests in regard to the long-term management of the McAbee site. At the Royal BC Museum, collection growth and the need for storage space is expected to almost triple over the next three to five years. Our rapid growth will almost certainly continue for at least another decade, despite our having a limited staff research program. 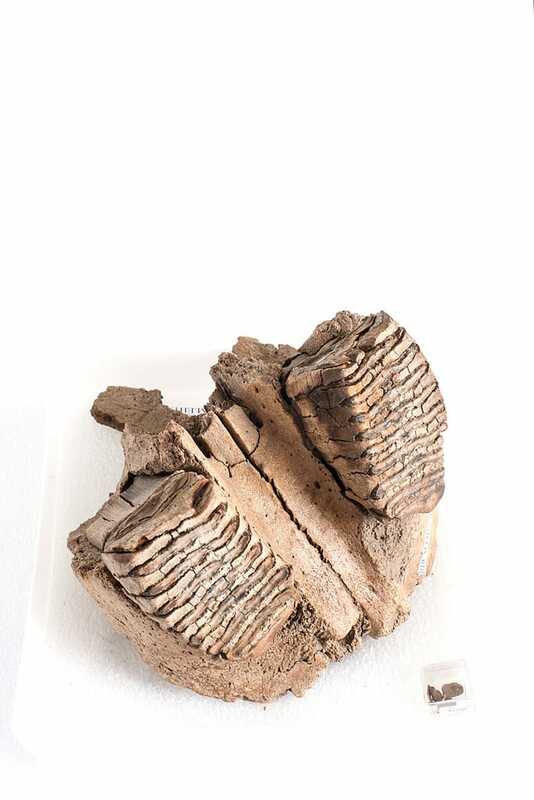 On-going collection objectives include acquiring material from Royal BC Museum research projects, obtaining specimens representing the diversity of BC fossils and sites, acting as a repository for scientifically important type specimens, receiving important private collections of BC fossils or finding reputable institutions for them. We will be acting to ensure that new collections resulting from the Fossil Management Framework are properly housed and available for study. We will also ensure that the material we now have is properly catalogued and housed. Researchers are welcome to examine the collections by contacting the appropriate curator and making arrangements with the collections manager. Please give as much notice as possible. You may contact museum staff by email, letter or phone. We will want to know the expected dates of your visit, the specimens you want to examine and your equipment needs (e.g., a microscope). Collection access is between 10:00 am to 5:00 pm, Monday to Friday, unless otherwise arranged with the curator or collection manager. Requests for loans of specimens must go through the collection manager.